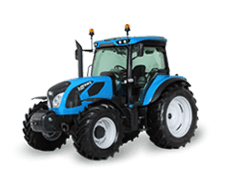 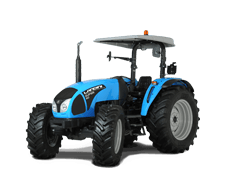 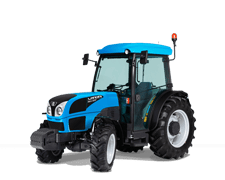 Tilling, sowing, cultivating forage crops and hay-making are only some of the tasks the Landini 6H is able to perform with an excellent level of comfort, technology and efficiency. 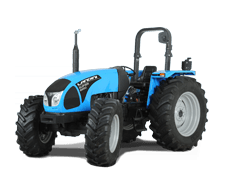 A machine that can truly be considered the newest frontier in the open-field compact tractor segment. 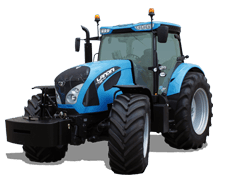 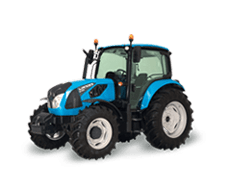 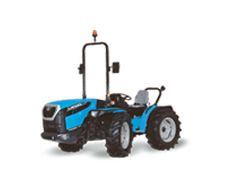 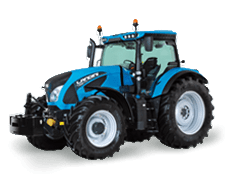 “Versatile use” are the watchwords, because Landini 6H tractors have been designed to deal with as many tasks as possible. 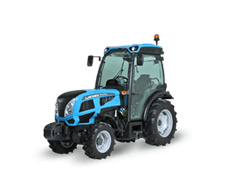 This makes them the ideal choice, especially for medium-sized farms that prefer to work mainly with their own resources without having to invest too much in machinery. 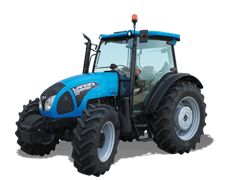 Besides possessing a sturdy structure, these tractors can be customized to suit the needs of each individual farm. 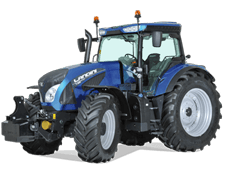 The ability to fit 38” rear wheels (width 540 mm) and the two-point cab suspensions add to the versatility of these tractors, which are already designed to mount the innovative Isobus and satellite steering systems. 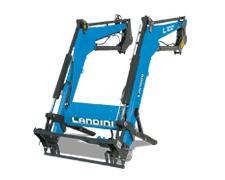 Lastly, leading-edge solutions for road transport are certainly not lacking thanks to the availability of a hydraulic trailer braking system. 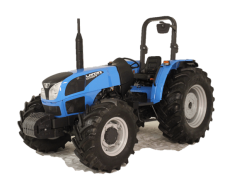 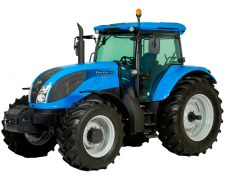 The 6H Series is one of the most versatile Landini ranges. 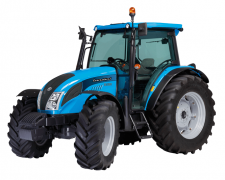 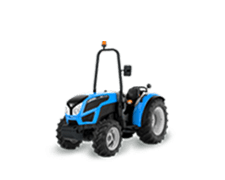 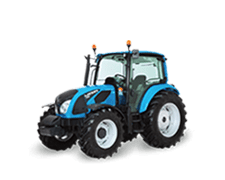 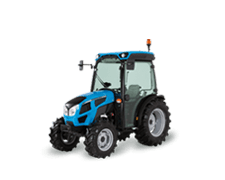 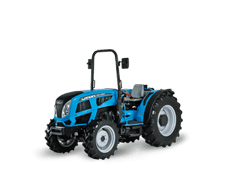 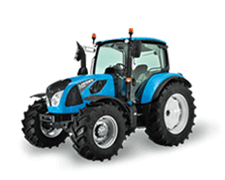 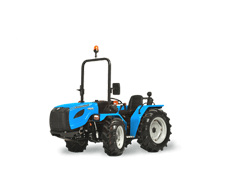 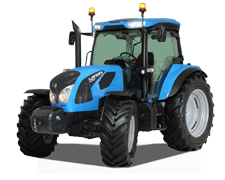 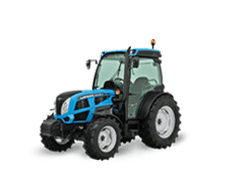 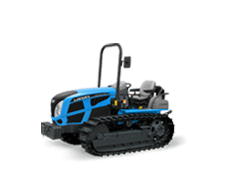 With from 110 to 126 HP, it is well able to deal with the many different jobs in medium-sized farms and larger estates. 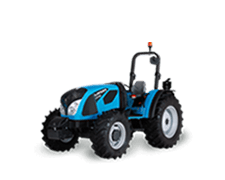 FODDER CULTIVATION: The 6H Series is the ideal solution for grassland operations since high productivity is assured thanks to the ability to use large implements even in combinations. 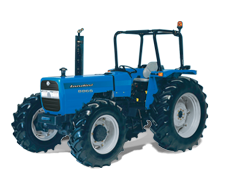 SOIL PREPARATION FOR SOWING: The 6H range is the right choice for many openfield jobs, such as soil preparation for sowing. 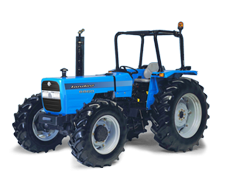 Innovative precision systems, such as satellite guidance and Isobus, can also be used. 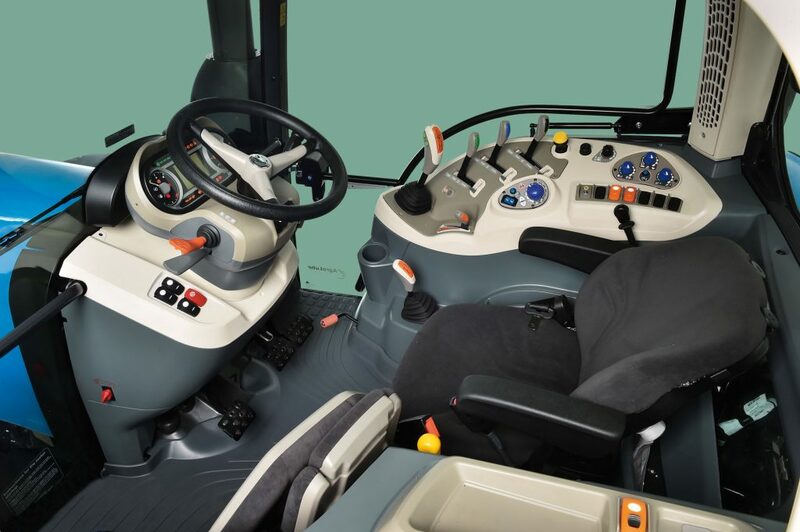 ROAD TRANSPORT: Comfortable driving over short distances is assured by the spacious cab, which is a standard feature and available with mechanical suspension. 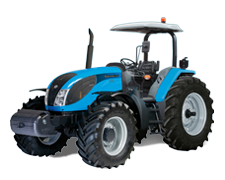 Total safety is guaranteed by the hydraulic trailer braking system. 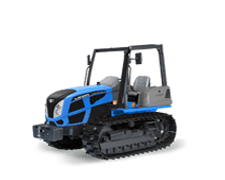 USE OF THE FRONT LOADER: The range can cope with even the most specialized jobs, such as those requiring a front loader. 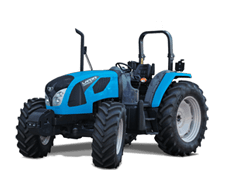 The range, which conforms to Mother Regulation dictates, includes models 6-125H, 6-135H and 6-115H featuring 119 HP 126, and 110 HP maximum power ratings, respectively. 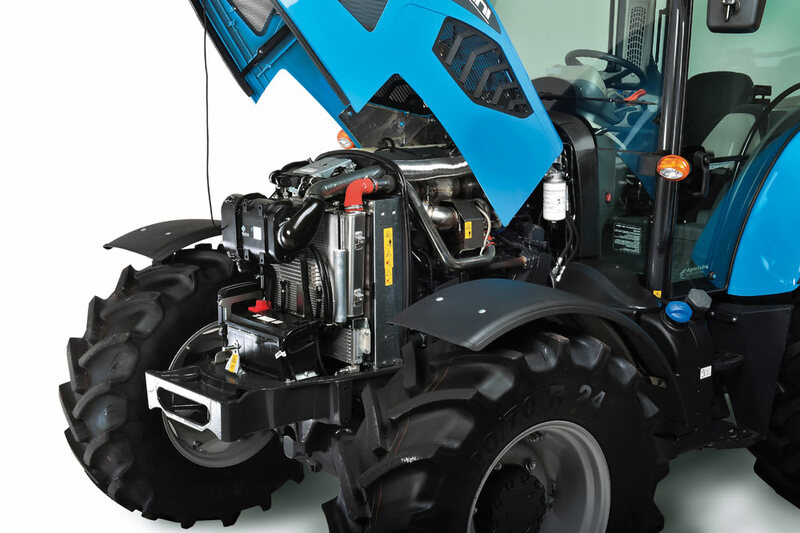 Wide variety of transmissions to choose from, beginning with the basic 12+12 version featuring a hydraulic reverse shuttle through to the 48-16 hydraulic version with HML and Creeper. 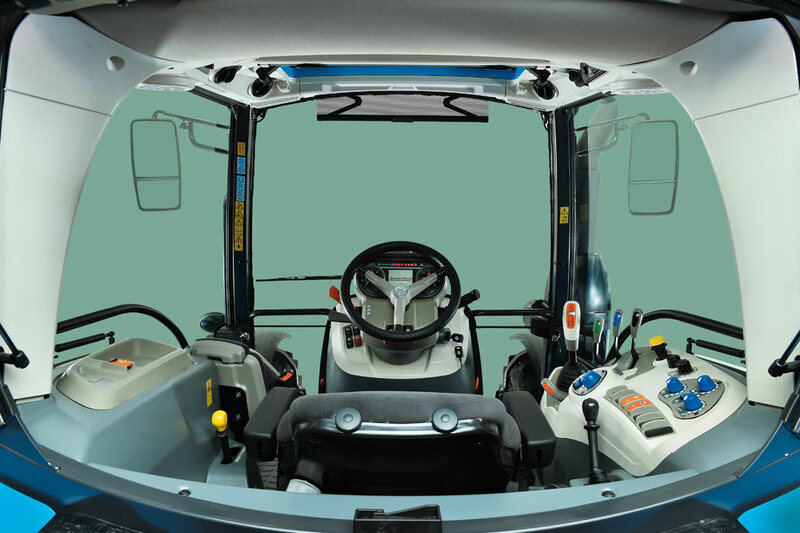 Tthe Landini 6H Series four-pillar cab reflect the most recent Landini automotive-style interiors.. Bluetooth radio with integrated microphone, refrigerated and heated compartment, air suspension seat and steering column with height and tilt adjustment systems add to the special features at the disposal of the operator, who can count on a control console specifically designed to combine ergonomics, safety and driving comfort.